Padang City or Kota Padang is a biggest area at the west coast of Sumatera Island instead of the Capital City of West Sumatera Province. Padang itself considerably as an entrance gate of West part of Indonesia from Indian Ocean and more inhabitants living in Padang (the biggest population of West Sumatera Province) recently as listed on National Statistical Bureau Database. Padang city is more growing every year and showing its readiness to compete with Medan in North Sumatera as the Sumatera Metropolitan City. Thefore, Padang are nicely keeping more potential ‘local treasure’ facing the modern reality spreading around itself but staying calm and simplicity. More people says, it is beneficial advantageous became Padang people juts because they are blessed with many specialities. Padang have more spectacular tourism spot with beautiful scenic views, so if you need to go to a wonderful place for your next visit, it is a one that you looking for especially when you are traveling together with your family or the loved one. A pleasure experience is personally guarranteed. Padang citizen mostly called it as ‘Taplau’ (Tapi Lauik or Beach Shore), Padang Beach is the most favorite tourism destination for more visitor to Padang City. In the night, many teenagers or youngsteen are sitting or staying around while they are enjoying local meals such as Grilled Corn or Banana. Somewhere around the beach, we could see some attractions. Nirwana Beach is one of tourism object in Padang, which were viewing fascinating beach panorama. The beach is located around 14 km away from Padang and currently Nirwana Beach is well-known as one of Padang Beach most visited tourism destination. It is famous for sunset panorama and fabolous night scenic view. Very lovely to visit the beach around day and evening. 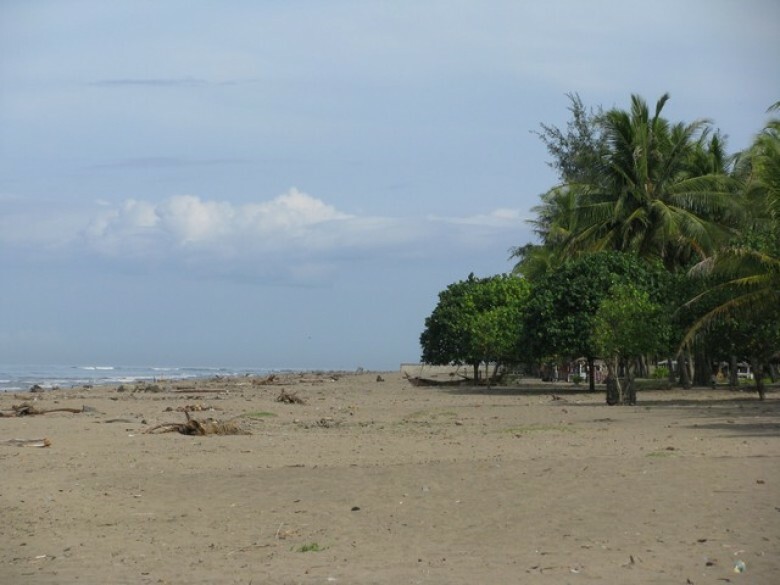 Aie Manih Beach or Sweet Water Beach is one of famous tourism object in Padang. Mostly well-known of the local famous folks legend story “Malin Kundang” sites there. Once upon a time when Malin Kundang was being cursed into a big stone, otherwise if you came and visit the beach then you will find it off the beach. 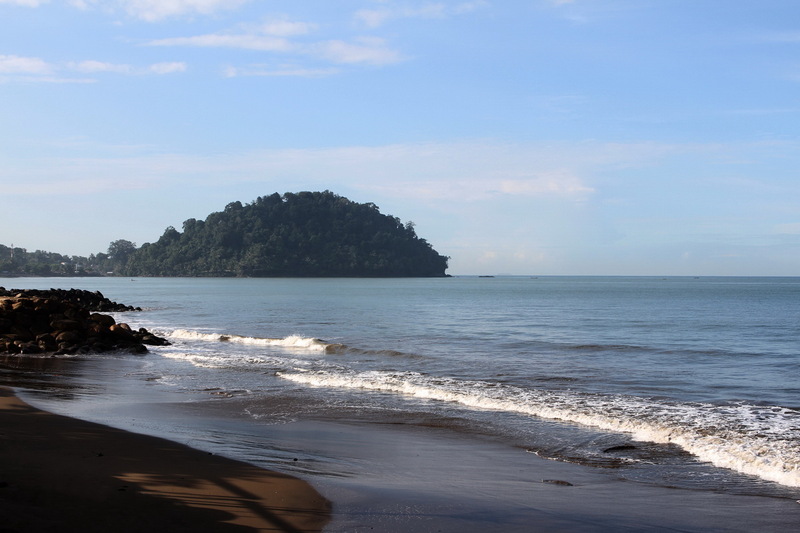 Pasir Jambak Beach is located 20 km away from downtown to the north side through Jalan Raya Padang – Bukit Tinggi. On the KM.14 turn left then direct ahead to Pasir Jambak Beach. White sandy beach, wide fully coconut trees all around the beach. They have several facilities from the entrance gate, vehicle parking, entertainment stage, food stalls, home stay or guest house, gazebo and boat rental. Visiting to Padang City, you must see the beautifully Siti Nurbaya Bridge. It is approximately about 60 meters length and totally from side to side about 260 meters away, connecting between Old Town Padang with Siti Nurbaya Park. 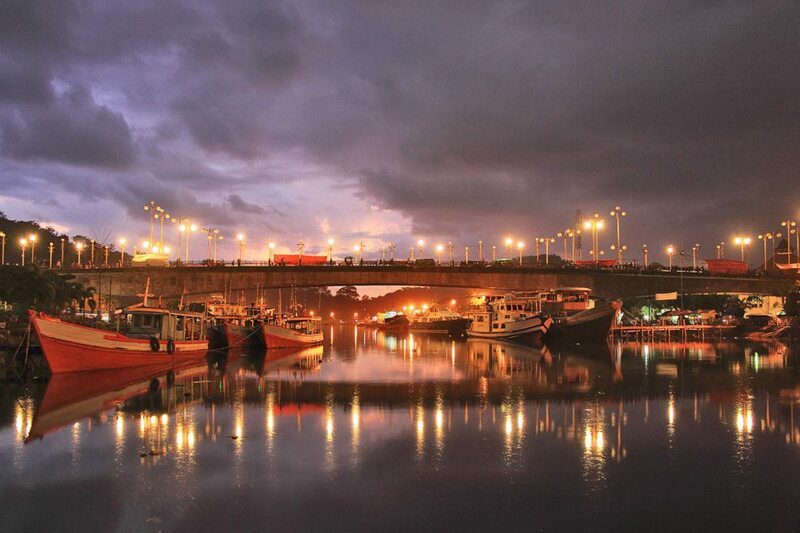 The iconic bridge named after the local folk legend story about the famous Siti Nurbaya. The evening view is spectacular and more lights come up when the dark night is attracting visitors to walk over the bridge. Visiting to Adityawarman Museum as a popular one in Padang City, the iconic of Minang Culture and Art which became one of tourism object should be visited in Padang. 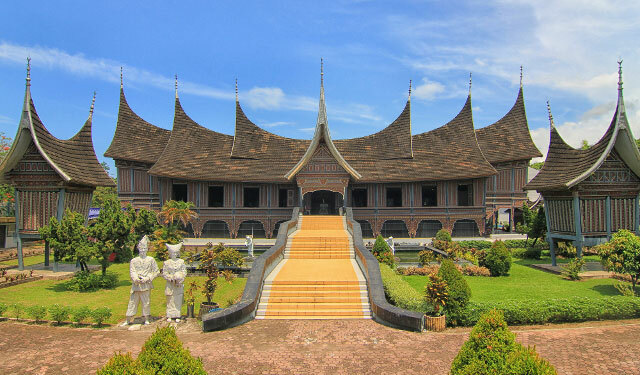 Built on 1974, this museum also well-known as a replica of Padang Historical city. You could see and learn more about the history of Padang City and many old antique items inside the museum. Sitinjau Lauik is located on the treehills of Mt. Talang, a nearest mountain off Padang City. The Talang Mountain is elevated about 2690 meters and still active as a stratovolcano mountain in West Sumatera. You can see more view up to the mountain, such as Padang City and Indian Ocean. Drinking a hot tea or coffee while you being sitting up there is a pleasant moment and relaxing within hours. Lubuk Minturun Bathing Place is a natural quite calm place but rarely people came here, otherwise this bathing place is offering natural spa, 100% pure mountain water tested and it should be tried by visitors from outside town or a tourist. 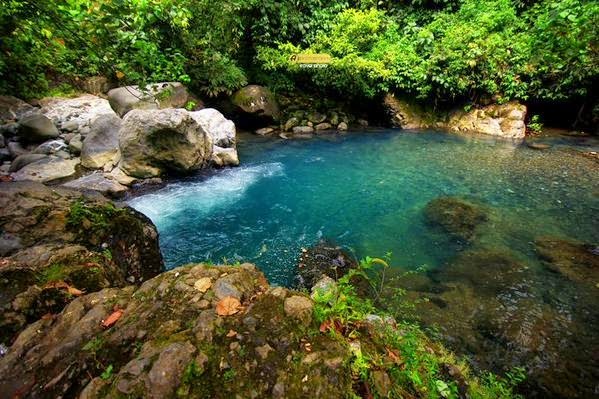 Lubuk Paraku Bathing Place is another tourist object which also offering natural spa or bathing place and located on the across way of Padang City and Solok on Kilometer 15, just before you will climb to Sitinjak Lauik.